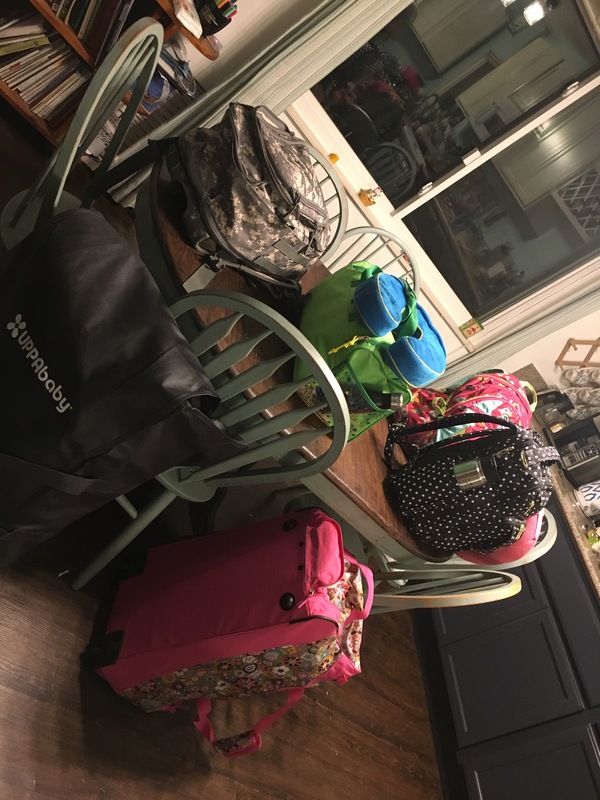 Traveling with 3 kids is enough to stress any momma out. Add special needs into the bunch and you’ve got a whole ball of crazy! For E, we pregame. A LOT. I take the time to walk him through the schedule, we talk about the items he will want and how all 25 of his Schleich dinosaurs can not travel with us. We make sure we pack extra anxiety mess, download lots of music, have earbuds, and practice appropriate behavior. For C, on top of all the baby stuff and extra clothes we pack, I also run through all the just in case items we need for her hearing aids. Extra batteries, the travel case for her aids, the lubricant for her molds (who knew that was a thing? ), and this miracle stuff just in case the aids get wet that can dry them if you have it. 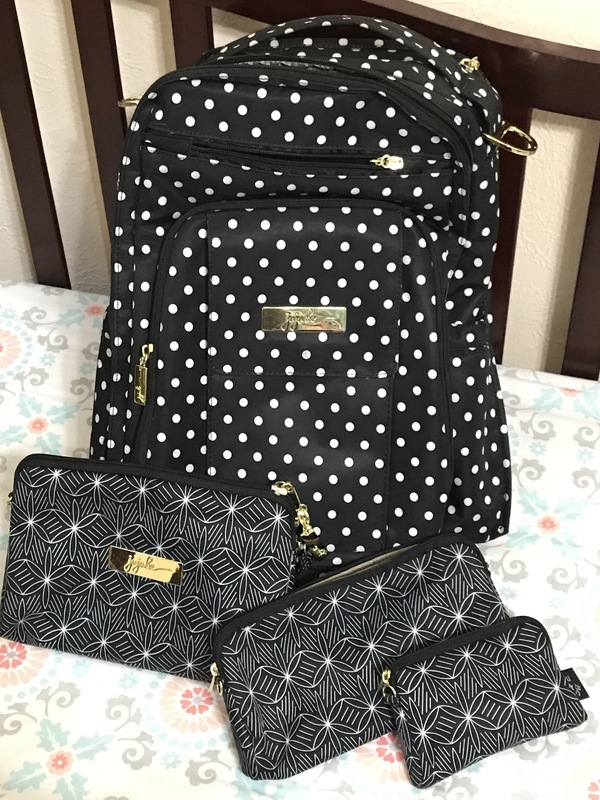 But who wants to carry tons of bags onto a plane – or afford it these days – so a while ago I went in search of my perfect diaper bag for traveling. My favorite mommy store hooked me up with a Ju-Ju-Be BRB with about a weeks notice. I also invested in the Be Set that they sell because having watched and read tons of reviews, it looked like they make life easier. Let me just say, it made things way easier and I’m so glad we splurged. (With coupons we got it for about 33% off, which is comparable to Nordstrom Rack.) A blog post solely about this bag packed for travel/a long day out will be coming. I was able to unzip just the top while on the plane and grab my biggest set piece which I had conveniently packed at the top and a wipe (from a case that sat behind it). Three kids and I have no idea how many flights and this was by far the easiest for diaper changes. I made sure that we had new toys and some fantastic crinkle paper for C in the bag. A second set piece was used for this and it was great to grab from the side of the bag! I have been steadily minimalizing mine and Hubs wardrobes. I wanted to manage to pack 5 people’s clothes for 4 days and nights in one checked back. We each took a personal item on the plane, but it had to fit under the seat. 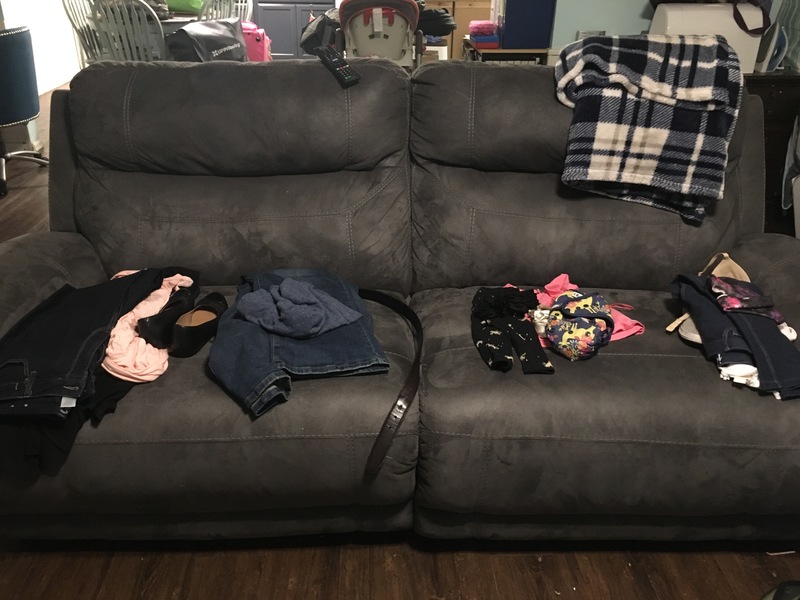 Oh… and cloth diapers and wet bags for the diapers, which take up quite a bit of room. I was thrilled to manage packing everything with a bit of extra room. Nobody’s bag was overfilled, even though the night before all the bags looked like sooo much! The night before I set out all of our clothes because we had to be at the airport by 445. I am very glad I dressed C in a denim jacket because we left summer and returned to fall. E decided to sleep in his outfit, and I chose not to fight him! Returning was actually easier than going. 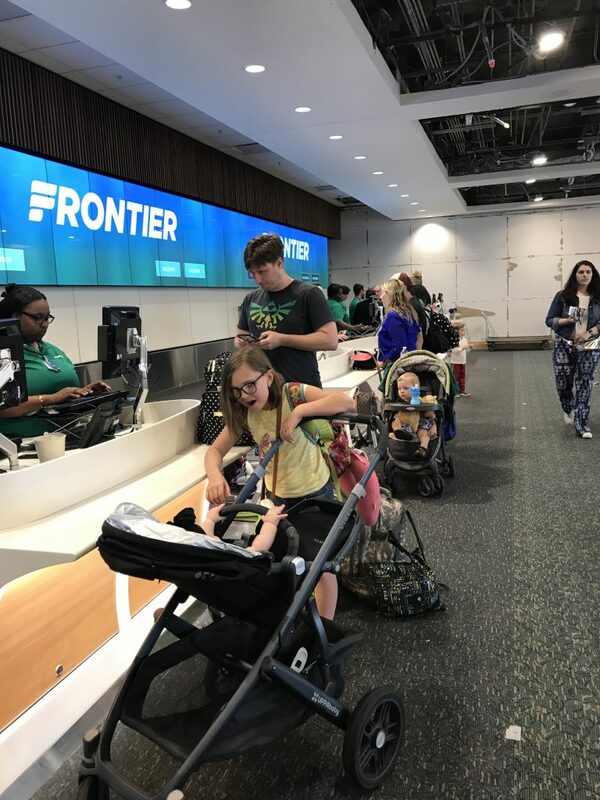 Even though C was fussy and sick, the Orlando airport has always been an incredible experience with E. Autism presents a lot of challenges with traveling and the lines at TSA are definitely one of them. The TSA has a program that allows Autistic individuals and their families to go through a side line. This looks different in different airports, but in Orlando it is the handicap line. The TSA agents are friendly and the line is way faster. E gets to go through the line with all of us and has a positive experience with the TSA procedures at most airports. There are even special programs that allow children with Autism to experience the airport ahead of a trip. The TSA agent at the front of the line let A and E stamp their own tickets. He had a son on the spectrum too. He told us that the TSA now has a program that we preregister E for. Then, the day before we travel we call and let them know our itinerary and notify the ticket counter. We will actually have an agent come down and meet us at the counter and walk us through the security lines. I’m excited to see how it works on our next set of flights! Meanwhile, we had an excellent flight back with no hiccups other than Hubs waking up a sleepy C. E listened to my iPhone music with earbuds and napped. It was tremendous! I even read 100 pages of a book (I’m hoping to finish it very soon)! Coming up next – my Ju-Ju-Be review and a special giveaway!